1. A knowledgeable and obsessive enthusiast. – engage in or discuss hypnosis-related tasks obsessively or with great attention to technical and theoretical detail. – be or become extremely excited or enthusiastic about a subject, typically one of specialist or minority interest. I like hypnosis geeks, and consider myself to be one. 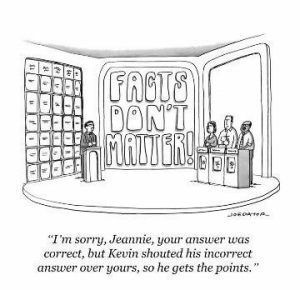 I am incredibly technical and derive great joy from the theoretical and academic debate of my subject. 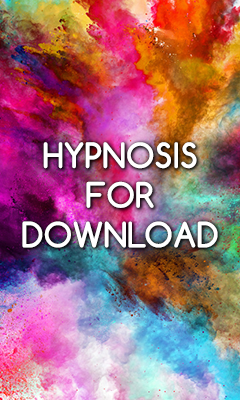 I lecture on the detailed workings of hypnosis, have written very evidence based books on the subject, I research hypnosis, I have a hypnosis podcast, I write a hypnosis blog, I read academic papers on the subject and know the research supporting this field very well indeed, but importantly, I get excited about it, I love what can be done with hypnosis. I think that qualifies me to be a self-titled hypnosis geek. 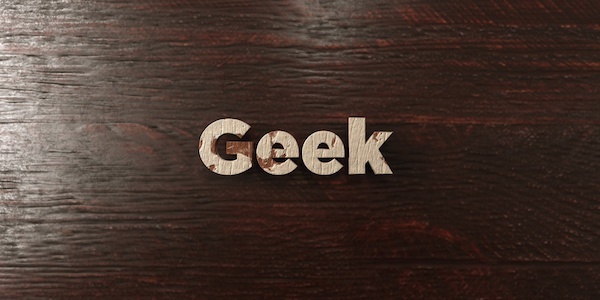 What actually is a geek in general terms though? Geeks are a subculture which is growing more and more prevalent in contemporary society: previously bullied and marginalised, thanks to shows like The Big Bang Theory, Doctor Who (heck, sci-fi TV and films in general) and a change in public perception of a number of qualities that are considered desirable in an individual, being a geek is finally becoming cool. Though, they are cool also because they are not bothered about being cool. 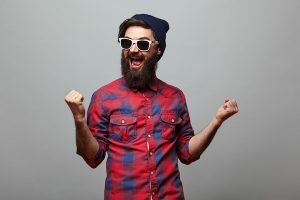 Try being a geek to be cool and you simply become a hipster, and whether you like twelve-foot-long beards, wearing wooly hats during the height of Summer, wearing skinny jeans and lumberjack shirts or not, that is not my topic here today. Being a geek then, according to research by Imgur, is actually cool in today’s world – especially among Millennials. In fact, 60% of the 83 million Millennials consider themselves geeks compared to just 38% of GenXers and Boomers. 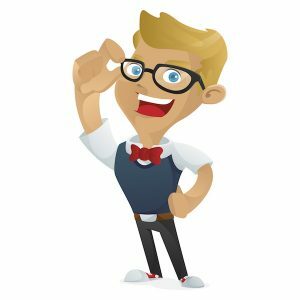 And, the study also shows that geeks are the trendsetters and influencers (84% of geeks say people look to them for advice while only 60% of non-geeks say they get asked for advice). Although, some places haven’t quite embraced geeks and geek culture like others have, now it’s changing. But, more than that, it’s also welcome news for all of us who geek-out about our own work—passionately probing to innovate, improve, dissect, and lead others to the discovery of their best selves (or best elements of their professional field, for example). Some may call it ‘obsessive’, but when geeks put their minds to a task or subject, they will be able to focus on it like no other group of people. It’s the reason geeks can plough through 20 academic papers in a single setting, burn through an entire boxset of Breaking Bad in a weekend, the reason they keep having to increase the maximum character level cap in World of Warcraft, and one of the reasons top tech companies are looking for them. Imagine if someone could bring that level of laser-like focus to the work that needs to be done, and think about how quickly and efficiently any particular project could be completed?! In general geeks are inherently enthusiastic about the things they like or enjoy. They source props and replicas of the film and TV objects they think are awesome, They will wear t-shirts bearing catchphrases while they stand in line for hours to meet the creators and stars of the shows they watch obsessively, and they will even occasionally dress up as characters they love and go to conventions. Still, they will come into work every day with that same energy and enthusiasm. If you’ve ever been in a training of mine and heard the way I talk about the TV show Red Dwarf, then you know that sci-fi geekery is another facet of mine. For some, it may derive from having fun poked at them, or being teased about the things they love, but geeks tend to be incredibly resilient and able to bounce back from pretty much anything. That’s why they make such good community moderators, able to take the ridiculous abuse of internet commenters on the chin and laugh at how stupid it is, rather than descending into a depressive shame-spiral and being unable to do anything for the rest of the day. Resilience in part and parcel of being a geek. Sure, a lot of the knowledge that fills their Mind Palaces might be largely useless pop culture references like the term ‘Mind Palace’ itself, but along with the focus that allows them to concentrate on things like technical detail, academia, video games and comic books comes a certain sponge-like quality to their brains. Once they see something a few times, they can commit it to memory with a surprising degree of accuracy, and secret it away in the storage locker facility that is the geek-brain. When you love a subject and have a repeated, consistent devotion to it, it is so much easier to retain and recall that information. Have you heard about the new social networking site? Or the latest in wearable technology? The new iOS update? No? You would have heard about it if you were a geek, because geeks love new technology and love sharing news and information about it. Follow a geek on Twitter and you’ll know all about that stuff weeks before you would have done otherwise, usually the moment it’s announced. Geeks are usually the ones who have created the latest innovations, and geeks are usually pioneering the field that they work within. Whatever field you work in or have an interest in, find a geek of that field, follow them closely, without stalking them, obviously. However, in every field, you want to hear from those on the fringes, those that are innovating and those that have an intensive knowledge and enthusiasm. The truth is, all of us are geeks on some level, about something. 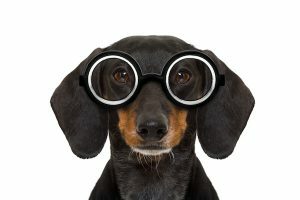 However, Most of us don’t focus our inner geek on utilising some of the most obvious, and powerful, paths to turn ideas into game-changing success. Here are two critical areas you should explore if you want to turn your geeky ideas into results. Yes, we can talk about leaders like Gates, Zuckerberg, and Branson. We can hold them all in a mentor-ish spotlight to learn all about their accomplishments. But, when it comes to finding a true mentor, it’s important to personally know the individual well enough that they can teach you both the things they did right, and the things they did wrong. “I’ve failed more than anyone I know,” digital innovator Jay Samit told in a recent interview. “There’s great value in failure.” Find a mentor that can show you both what you should do, and what you should stop doing. Whether you travel across the country or across town, getting out of your routine and daily environment can inspire fresh thinking and analysis for your inner geek to process. At the very least, be around people who can aid the mentoring process and that you can progressively learn from. You know the old adage; if you’re the cleverest person in the room, you need to change rooms. Go to places where you’ll be stretched and have to strive to rise up and meet those that are ahead of you. Rest and relaxation is important to our well-being. But, there’s more to holidays than just dipping your toes in the water. Going somewhere new, and seeing different things, and the different ways people do things leads to unbelievable breakthroughs, sometimes from the most unexpected places. I don’t just mean this literally. Seek out environments, groups, trainings, courses, people and more besides, that starts a journey of exploration and discovery for you. Learning, developing and humbly wanting to now more is the road of the geek. Get lost a few times, and you derive a deeper understanding of the area. Being a geek used to draw up images of social misfits, awkward conversations, and less than attractive personalities. But, that’s not the case anymore, as geeks have become the global trendsetters and influencers. It’s a welcome message, long-awaited, for many of us. …and it’s a club we’re not ashamed to belong to—because if you focus your inner-geek on the areas above, success isn’t too far behind. Go embrace your inner geek. 1. Have issues or themes such as those mentioned here held you back and/or are they still doing so now? Coaching with Adam Eason Or Hypnotherapy with Adam Eason. 2. Would you like a satisfying and meaningful career as a hypnotherapist helping others to overcome issues and deal with themes such as those mentioned here? 3. Are you a hypnotherapist for whom similar issues and themes are detrimentally effecting the success of your business? If you’d like to learn more about self-hypnosis, understand the evidence based principles of it from a scientific perspective and learn how to apply it to many areas of your life while having fun and in a safe environment and have the opportunity to test everything you learn, then come and join me for my one day seminar which does all that and more, have a read here: The Science of Self-Hypnosis Seminar.